By utilizing connected car technologies in your insurance services, you can enable your users to improve their own driving behavior that can reduce their risk factor. Using Big-Data from Connected Car data sources, Insurance provider can analyze in-depth risk factoring scenarios and provide better customer experience. 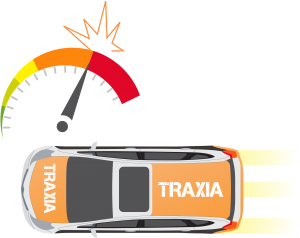 Traxia UBI helps insurance companies to identify how long is asset (that is covered by their insurance products) are being exposed to risky situation such as driving in rush hours, known hazardous area and many other time-based risk consideration. The more end-users exposed to risk conditions, the higher their risk factors thus preventing them to enjoy higher point benefits from insurance providers. Where Risk Exposure Time features allow insurance companies to foresee their covered assets, it does not help distinguish how one individual driver use their vehicle is different compare to other majority. Previously where impossible for Insurance companies to distinguish how a covered asset being utilized, whether it is commercial or personal usage. With Traxia UBI is very possible to identify such inquiry. Traxia UBI continuously monitors basic driving behavior parameters such as use of speed, brake anticipation, cornering and acceleration to measure individual driving performance. Driving performance may or may not be used as primary rating factor by insurance company and this is also available as optional preference. While it is optional, all historical data of drive performance is stored in each driver profile allowing future analytics or investigation historical reference. Serving both information streams for Insurance companies and Vehicle owners, Engine Health monitoring provide functionality that can be beneficial for both parties. Insurance company can identify vehicle conditions that may have errors or problems in the vehicle that may or may not lead to an unfortunate event leading to insurance claims. As for the individual who owns the vehicle, they may enjoy active pushed notifications to their smart devices that their vehicle is due to tuning, service or even repairs hence Preventive Maintenance. With various safety, security prevention and measurement, Traxia UBI can boost both vehicle owner and insurance companies that their vehicle is protected for unfortunate events such as lost from theft, attempted fraud/theft, and more. For non-intrusive reminders, to hardware hard-line intrusions are available upon your request. Traxia UBI also continuously took journey data such as routes, point of start and stop, idle location and duration, park-up areas. 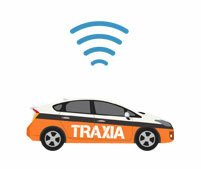 In Traxia we have the capability to maximize this kind of data to its maximum potential. It is also possible for Traxia to ‘stitch’ those information with other parameters to perform new type of performance queries. By having control over digital dataset of end-user’s driving behavior and vehicle engine data, Insurance companies are able to determine, re-construct and analyze accident events to reduce bogus insurance claims or scams. This is not possible in the world without digital data provided to the insurance industries. Being able to identify individual risk factors of insurance end-users, Insurance company can benefit from the possibility of giving better rates for particular individuals who is driving in a safe manner and marginally have lower risk factor compared to majority. With better rates compared to other insurance provider, it is possible to attract more customers that is willing to exercise safe driving manner and low-risk exposure to obtain lower risk rates. With data, the possibilities of using it as potential supplement for other types of business model is very high. Insurance companies can emphasize more creative business models such as pay-as-you-go, prepaid insurance types and bundled packages. How to Use Traxia UBI ? There are 3 easy steps to enable Traxia UBI for an end-user to enjoy various benefits from subscribing into Usage Based Insurance services. After obtaining our OBD device, simply plug-in our device into your vehicle standard OBD port. Drive your miles safely, Earn your points. Get more benefits from your insurance.